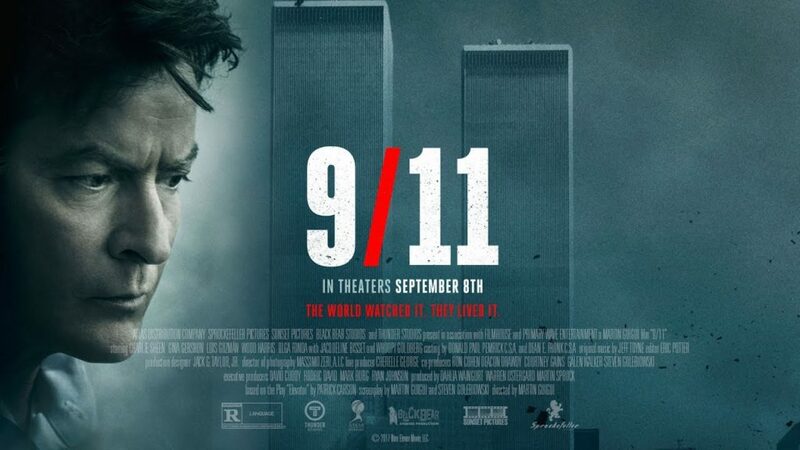 There’s a new movie capitalizing on a national tragedy for monetary gain that comes out today. Who wants to see It when you could sit though 9/11. That’s also the name of the film. It’s just called 9/11. What the hell is this poster? Here’s a trailer. Yikes. I don’t need to see the movie for multiple reasons, but why bother after viewing this. The trailer just tells the entire story without an hour and a half of bad acting. It shows the elevator falling. It also looks like a made-for-TV film and anyone who isn’t stuck in the elevator probably did all their scenes in a few hours on a Sunday afternoon in their own homes. I didn’t think it could get any worse, but I was wrong. Here is, for some reason, a second trailer. Anyway, there you go. Oscar season came early this year. Charlie Sheen is also a 9/11 Truther.